The music industry is abuzz with news of Spotify’s potential launch in India – with reports suggesting that the streaming service could officially become available in the market “within six months”. MBW, however, can reveal that there are at least three considerable hurdles which Daniel Ek’s company still has to clear. Over the past 48 hours, we’ve spoken to multiple high-level sources at all three major labels, and have confirmed that neither Universal, Sony or Warner has licensed Spotify to use their music in India… yet. That said, the rhetoric emerging from the ‘big three’ labels is notably more positive than earlier this year, when executives told MBW that they were considering blocking Spotify’s planned 2018 launch in India – partly in reaction to the platform striking direct licensing deals with artists. A US-based senior source at one of the majors told us today that the question of licensing Spotify in India remained “an ongoing conversation”. India, with a population of 1.3bn people, was the 19th biggest recorded music market last year, according to the IFPI, generating $130.7m. Digging further into this IFPI data shows that, while subscription streaming revenues more than trebled in India in 2017 (to $33.7m), ad-funded streaming revenues actually fell year-on-year, down 29.5% (to $27.6m). One label-based source told MBW today: “Out of all of the majors, Sony has the most leverage in India because it’s big in Bollywood music. Another highly significant label working through a deal with Spotify right now is India’s own T-Series – an independent currently duking it out with PewDiePie to own the biggest YouTube channel in the world. One of MBW’s major label sources said today: “India is an extremely complicated territory, and people are making huge moves there – look at Saavn and Gaana for evidence. 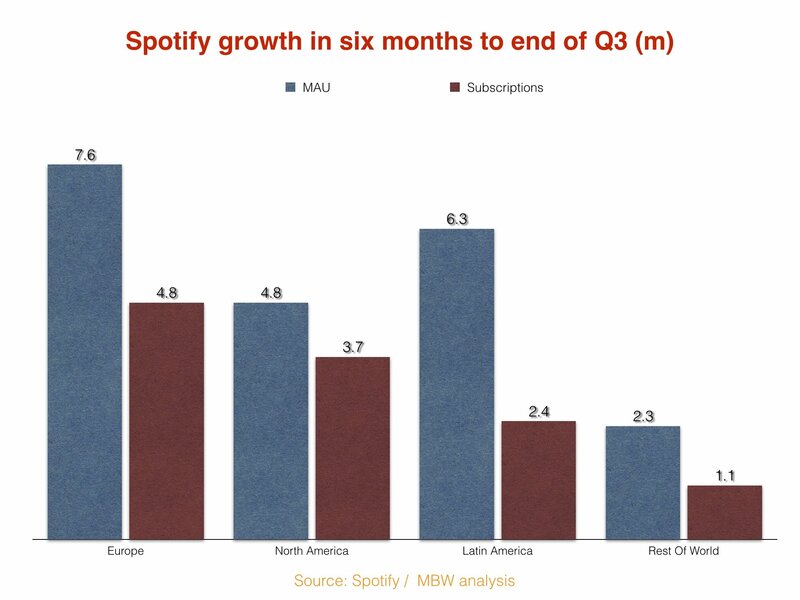 As MBW reported yesterday, while Spotify has seen huge success in Europe, North America and Latin America, it has struggled to grow as fast in other regions of the world. In fact, with an addressable population of around 845m people outside these territories, in the six months to end of September this year, Spotify added just 2.3m users and 1.1m subscribers. Across Europe, North America and Latin America, in the same period, Spotify added 18.7m users and 10.9m subscribers. If Spotify does launch in India in 2019, it will face some tough competition. This will include Saavn, which recently came together in a $1bn-valued merger with local rival JioMusic to form new super-brand JioSaavn. The owner of JioMusic, Reliance Industries, launched its Jio mobile network in 2016, offering free 4G coverage across India – helping accelerate streaming’s growth in the territory. 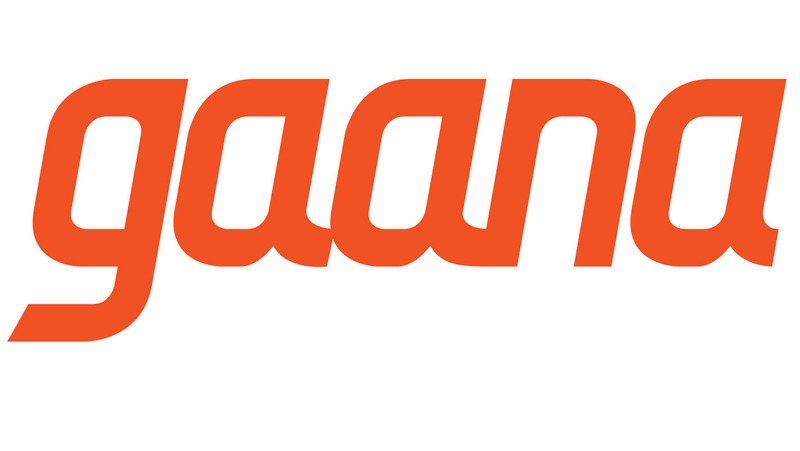 Elsewhere, China’s dominant streaming player, Tencent Music Entertainment, recently invested $115m in another leading Indian service, Gaana, which boasts over 75m users. Other music streaming operators already set up in India include Apple Music, Amazon Music and Google Play.